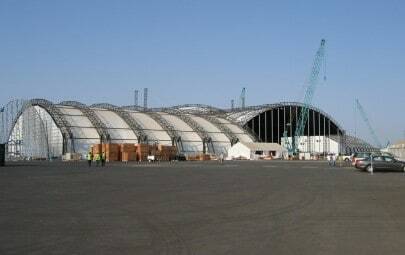 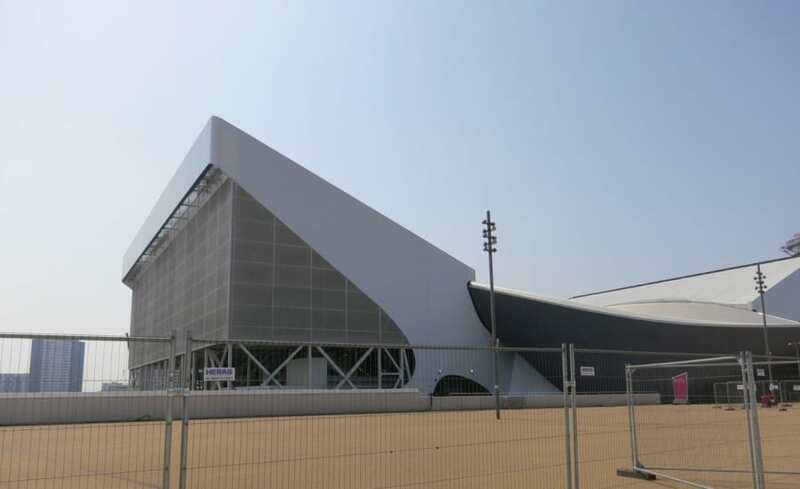 As such a key venue in the Games it was essential that the maximum number of people could be accommodated within it but with a large emphasis on the legacy of the Olympic Park and future use of such a large venue the design needed to be both temporary and permanent. 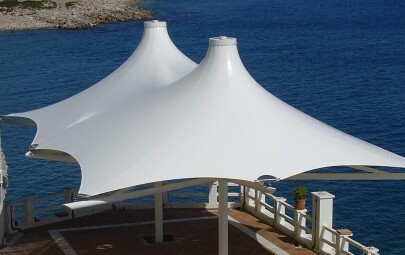 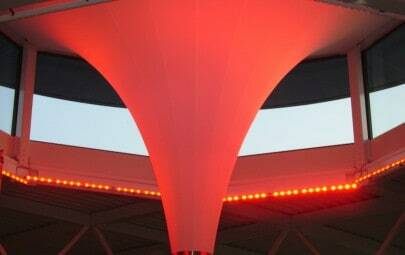 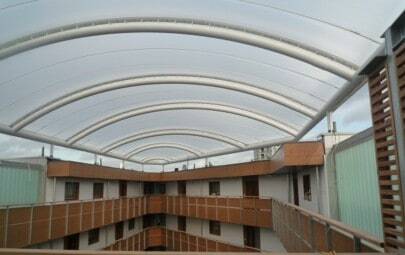 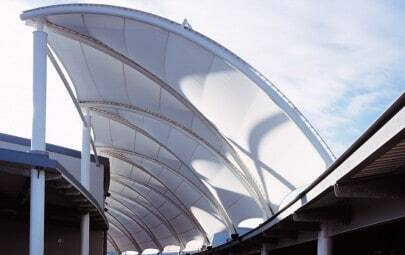 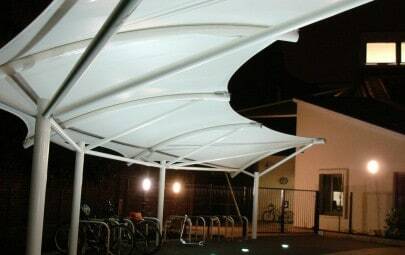 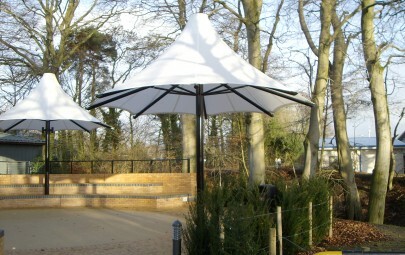 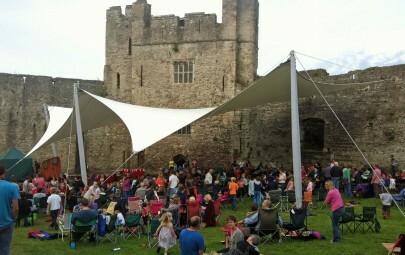 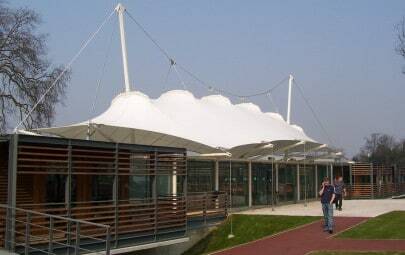 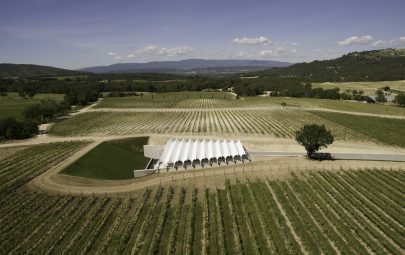 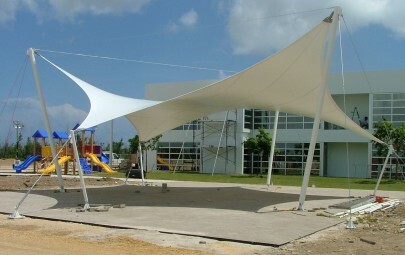 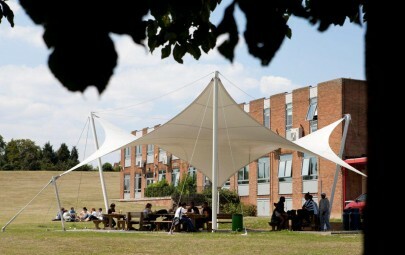 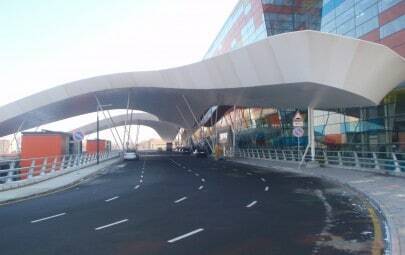 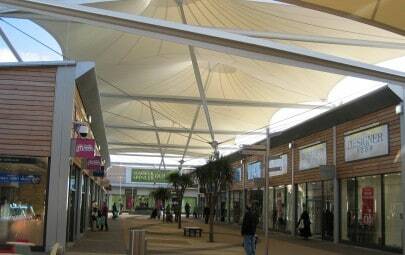 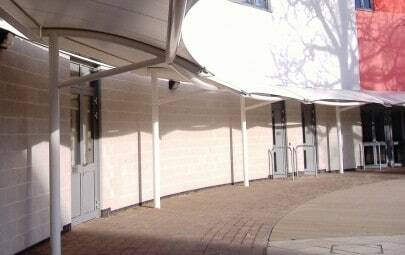 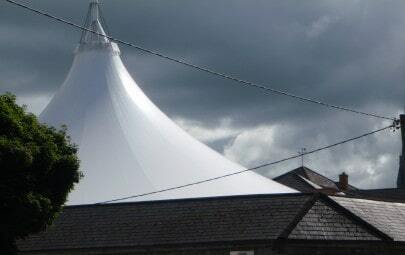 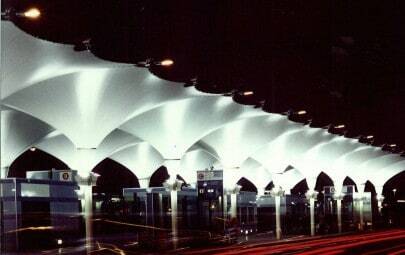 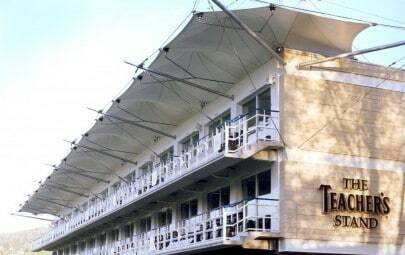 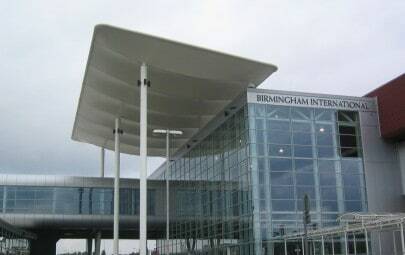 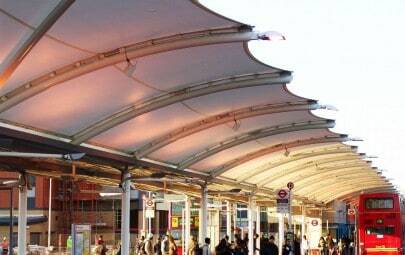 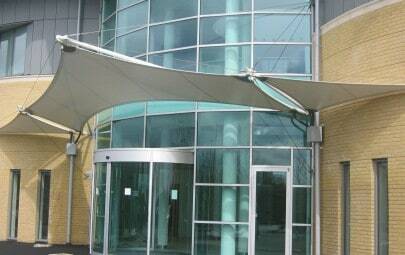 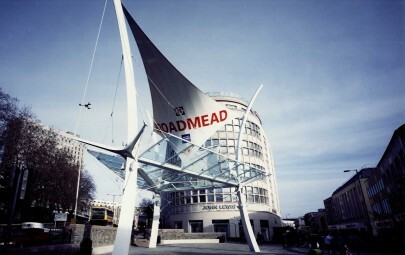 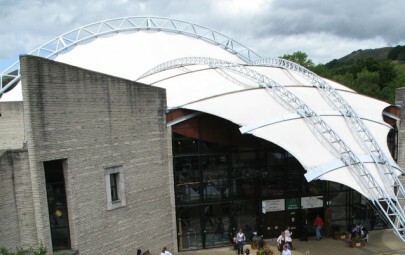 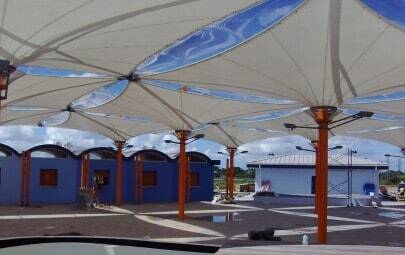 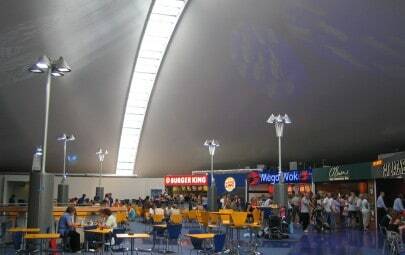 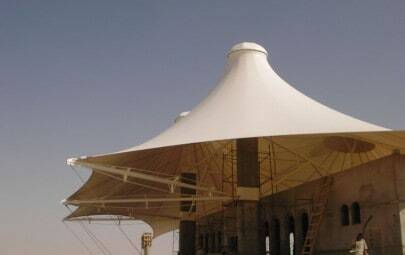 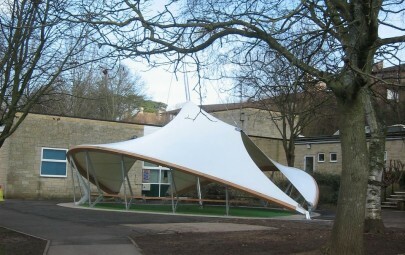 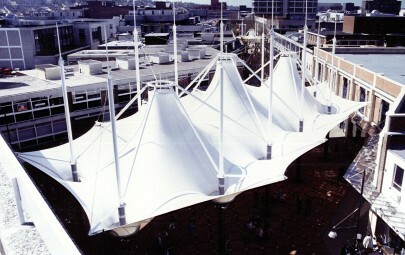 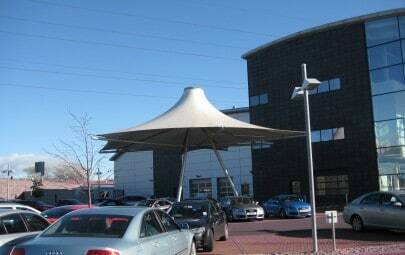 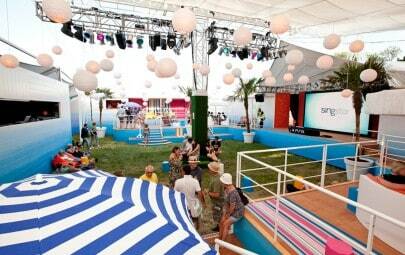 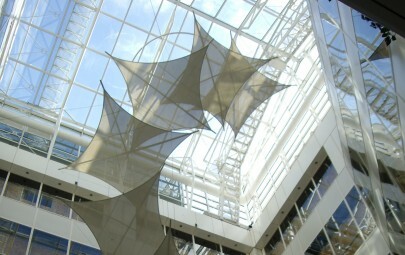 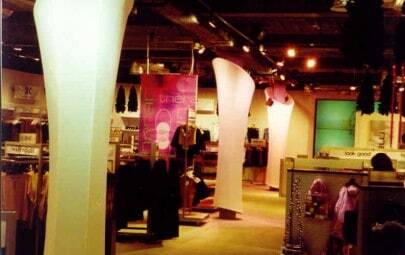 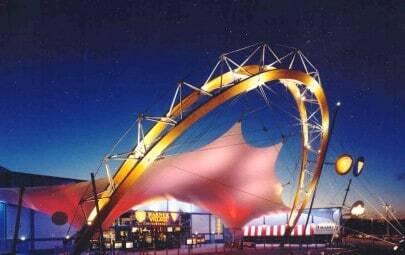 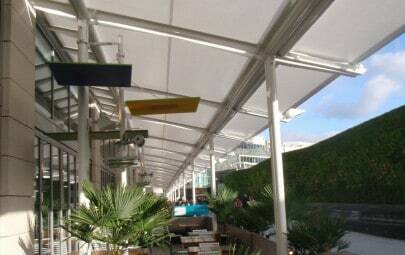 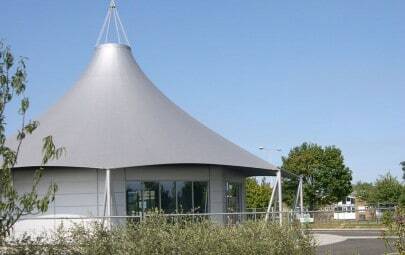 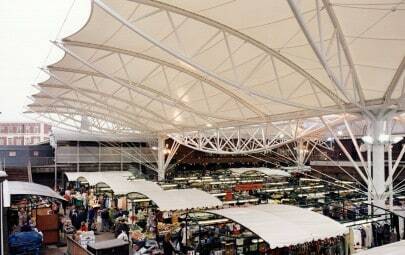 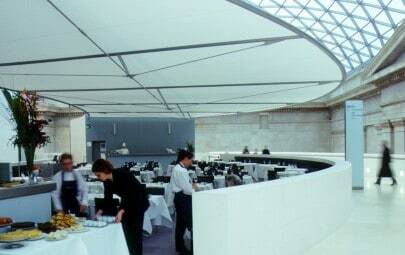 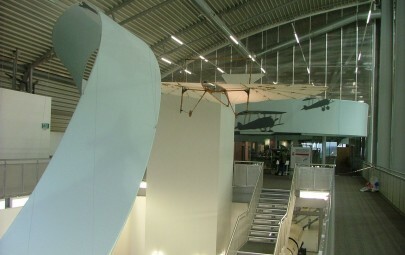 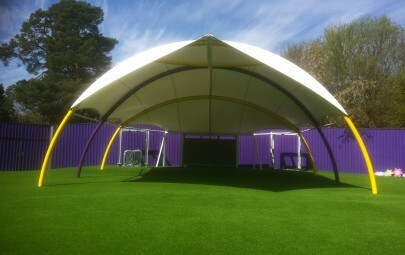 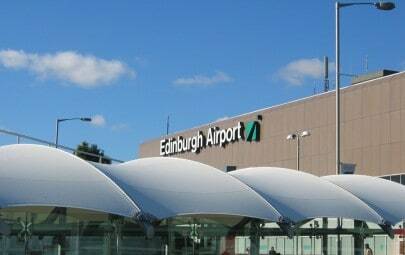 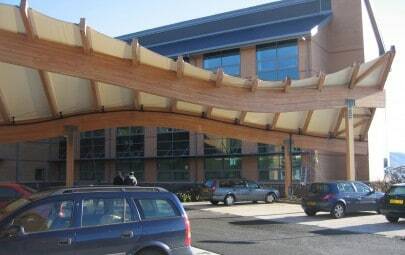 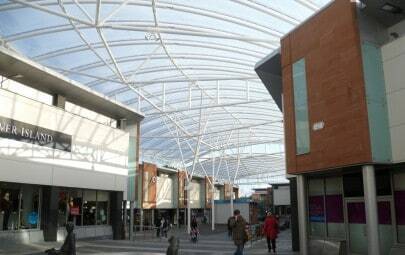 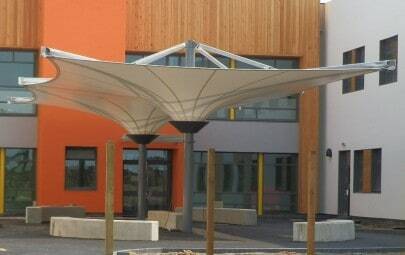 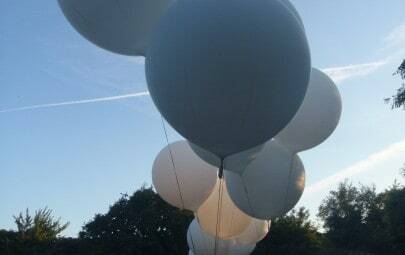 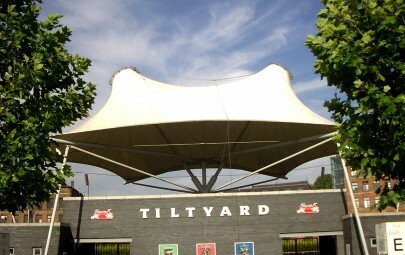 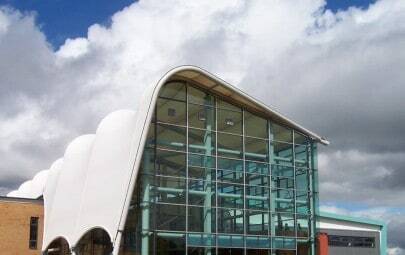 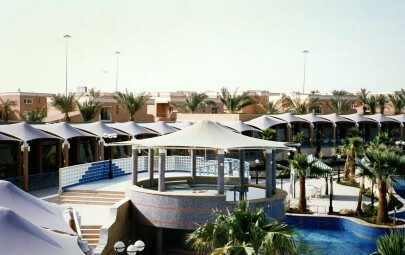 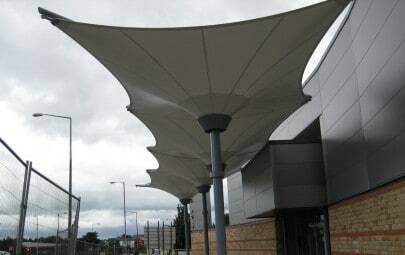 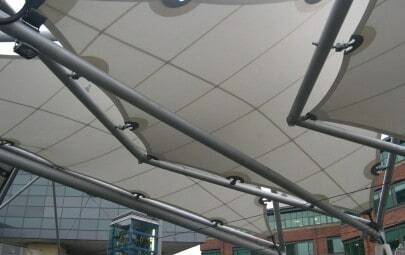 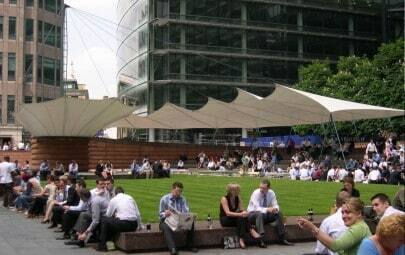 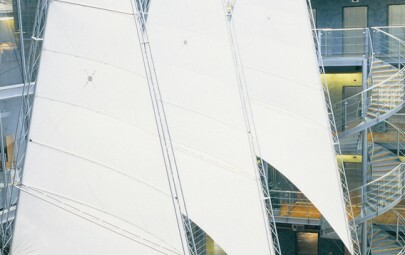 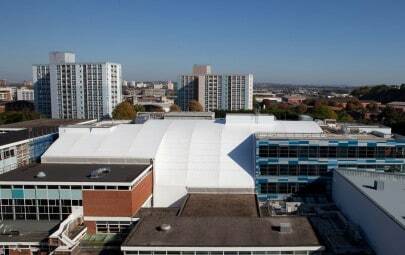 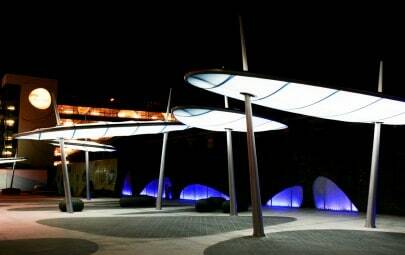 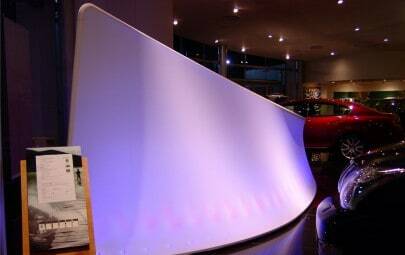 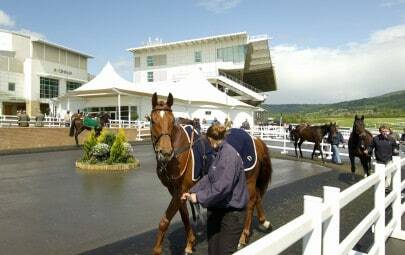 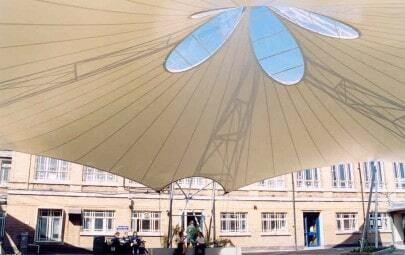 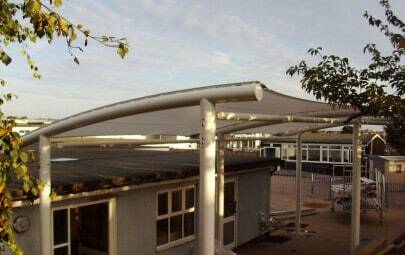 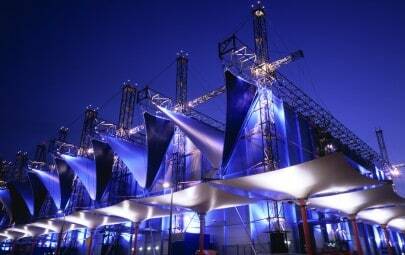 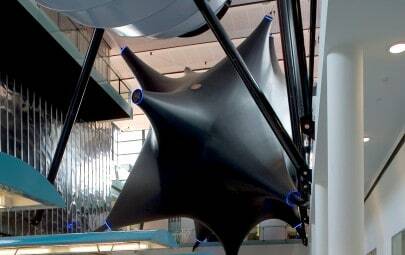 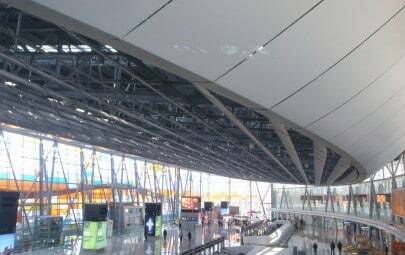 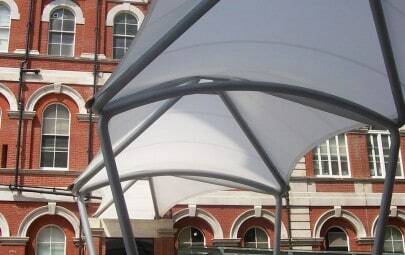 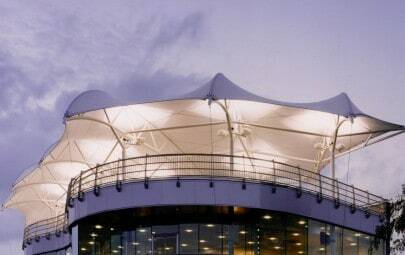 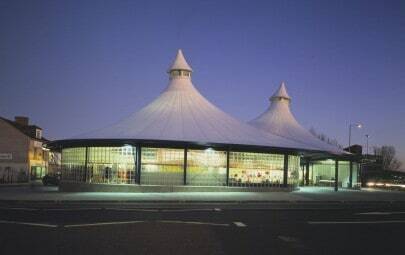 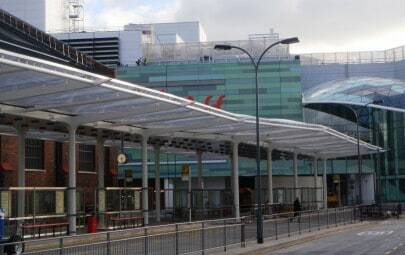 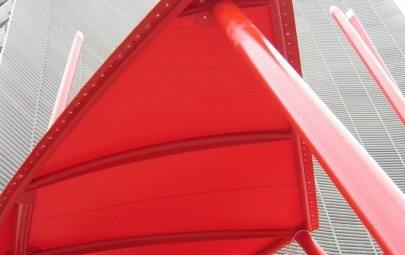 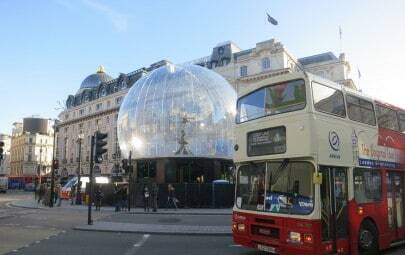 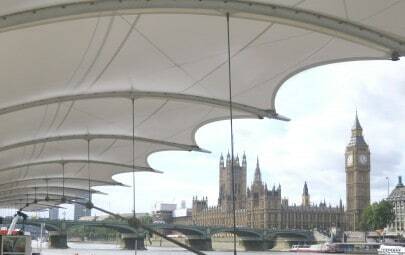 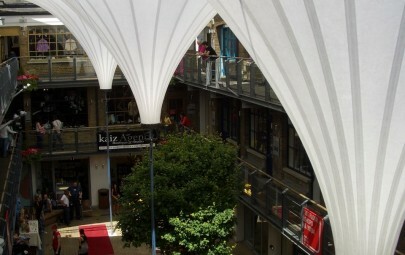 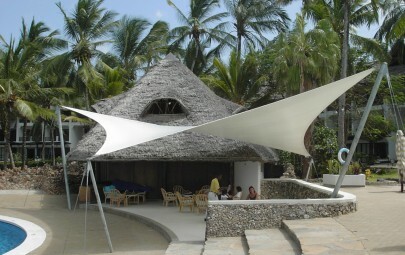 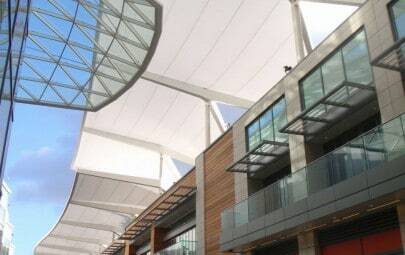 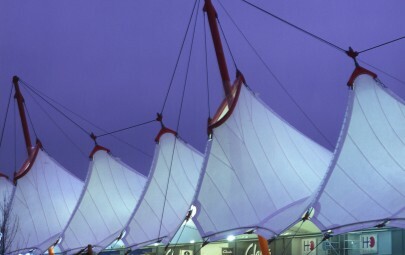 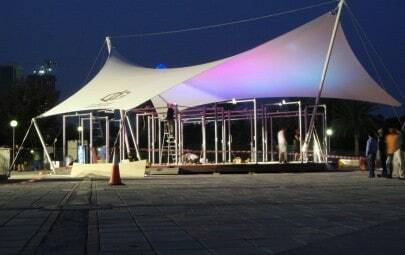 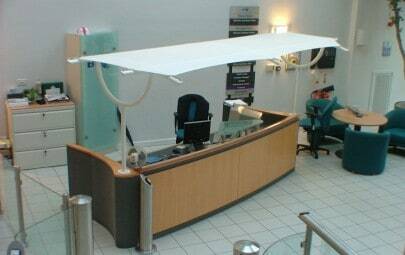 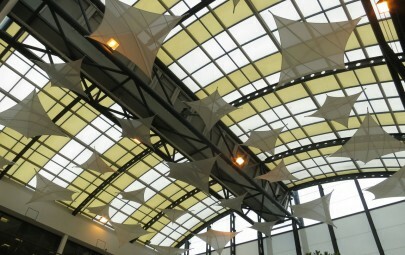 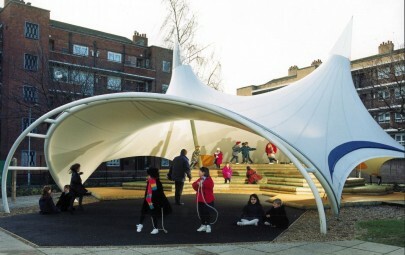 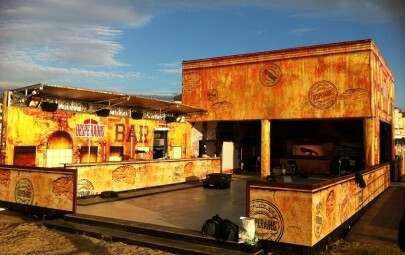 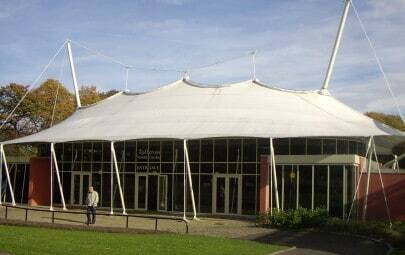 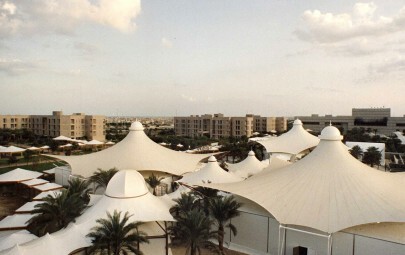 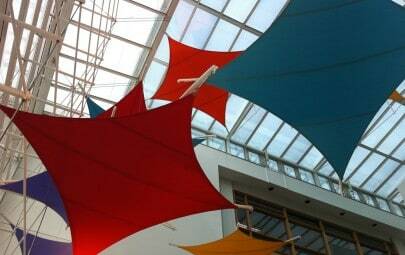 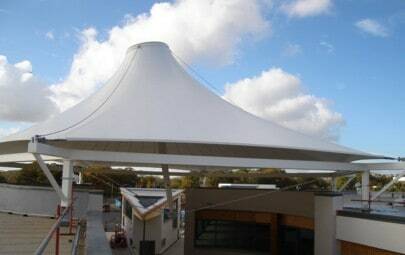 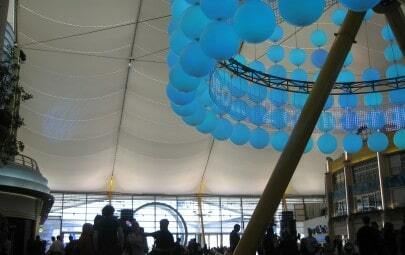 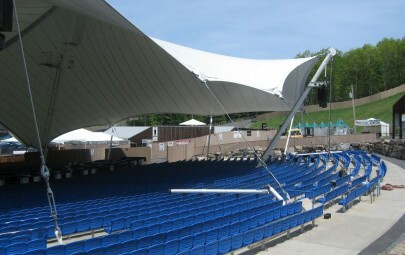 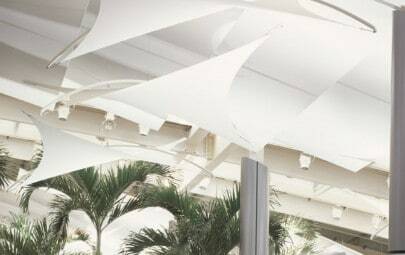 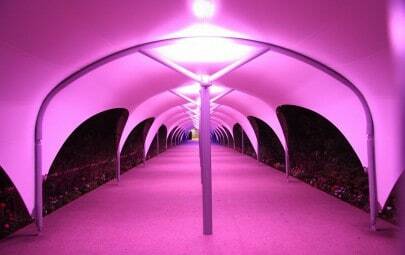 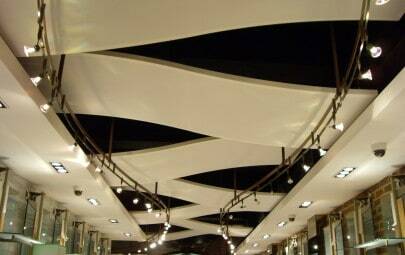 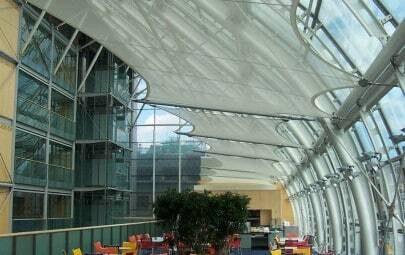 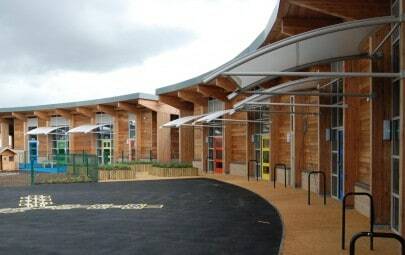 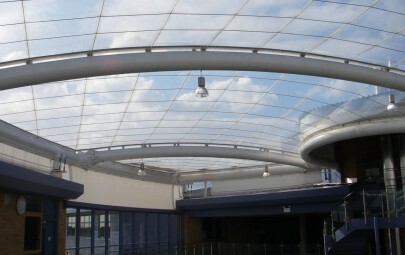 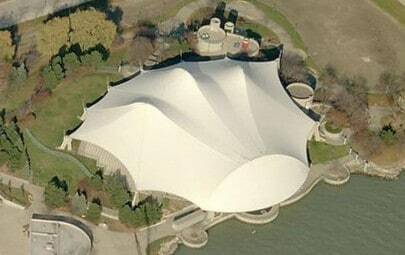 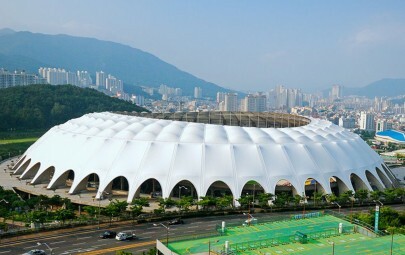 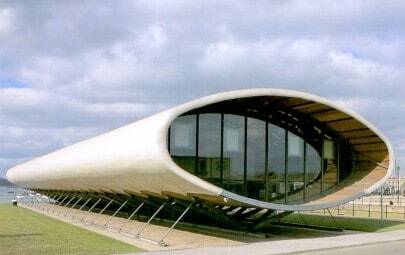 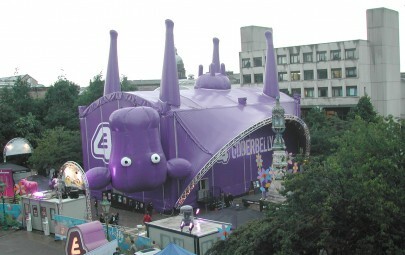 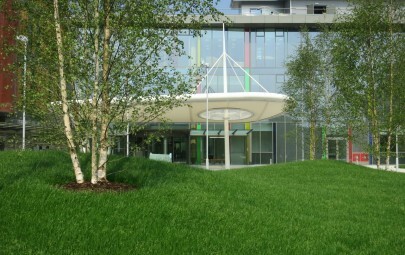 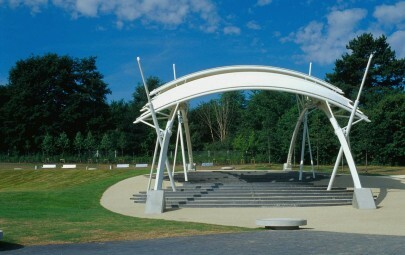 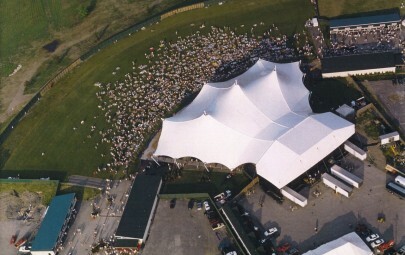 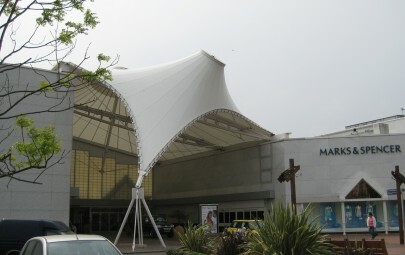 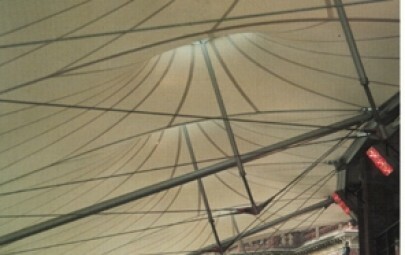 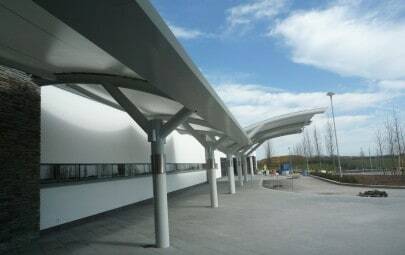 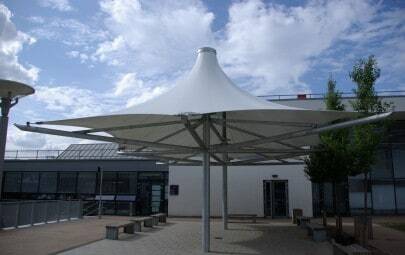 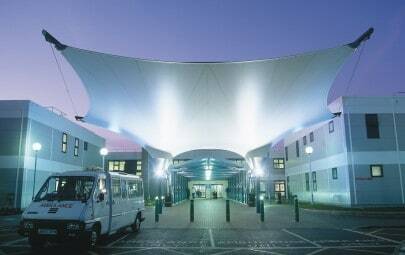 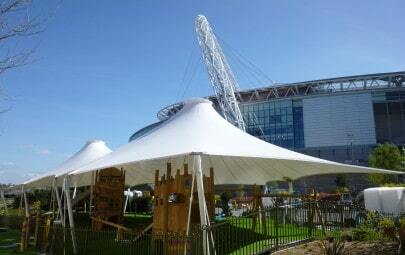 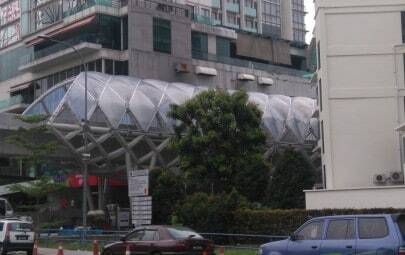 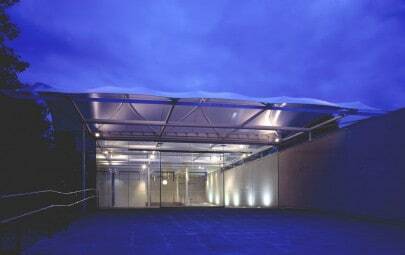 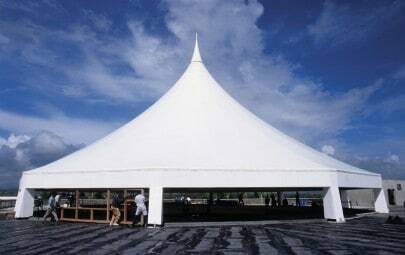 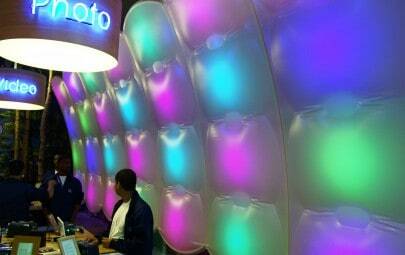 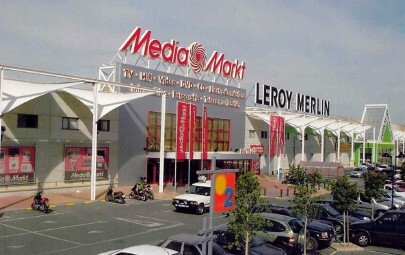 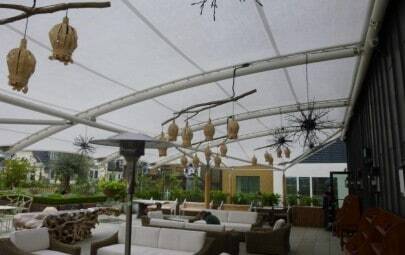 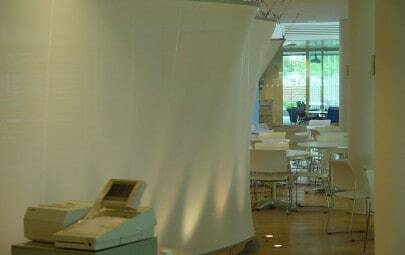 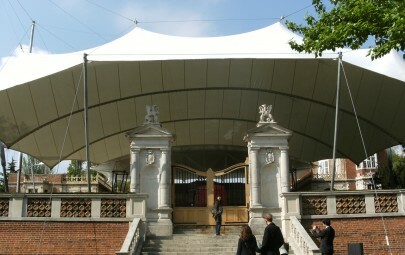 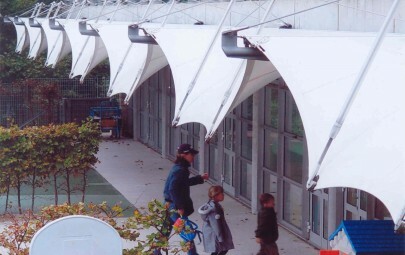 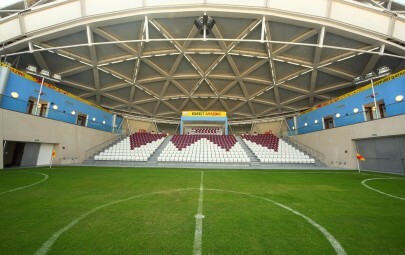 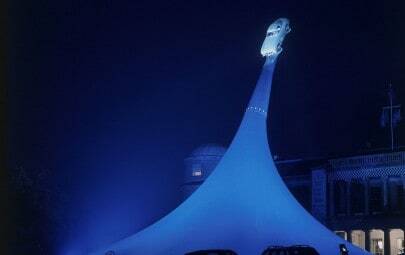 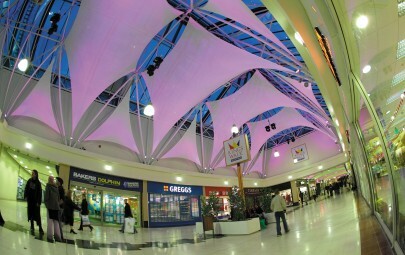 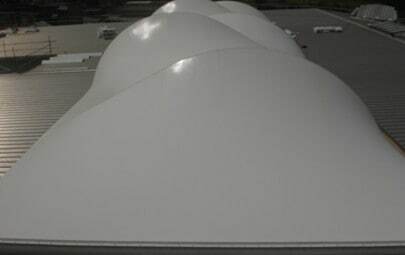 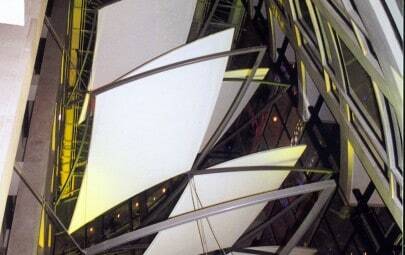 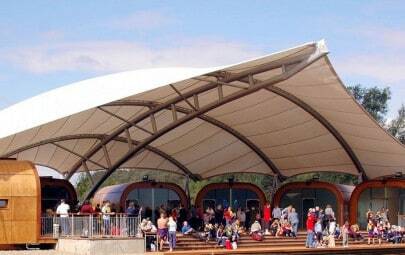 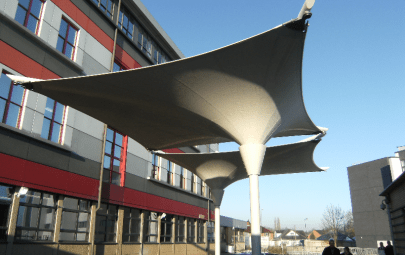 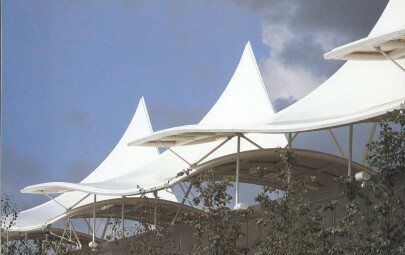 From this brief the tensile fabric clad temporary stands were born. 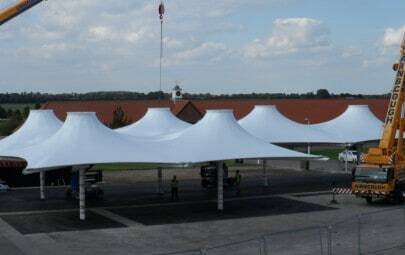 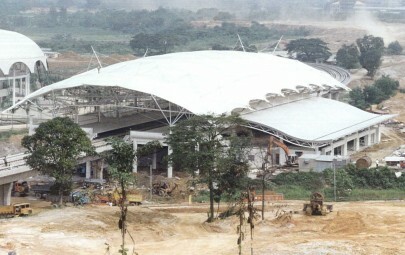 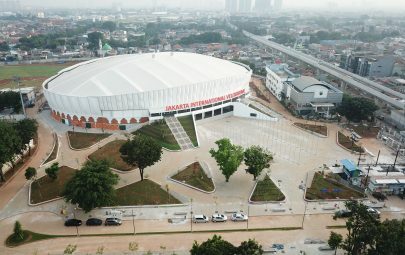 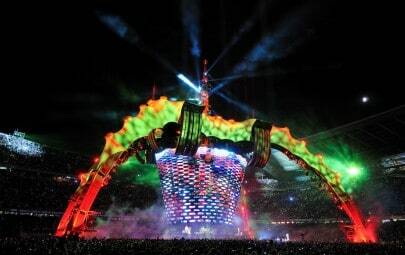 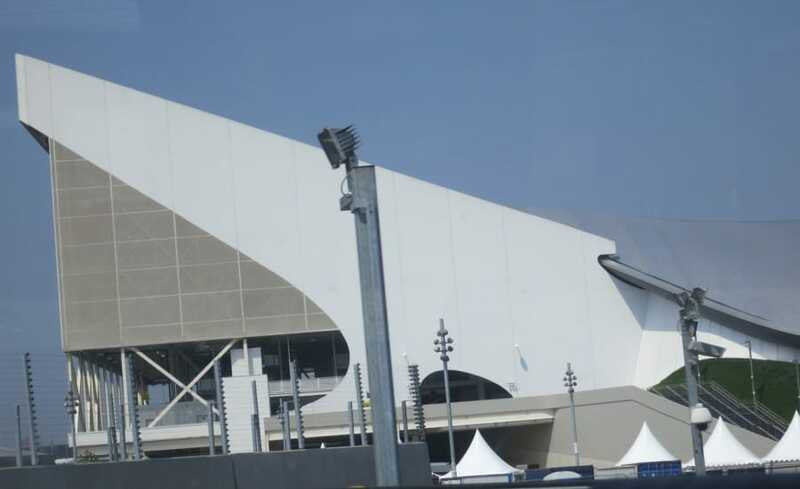 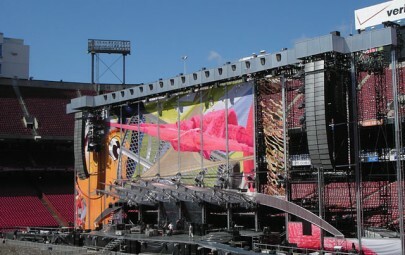 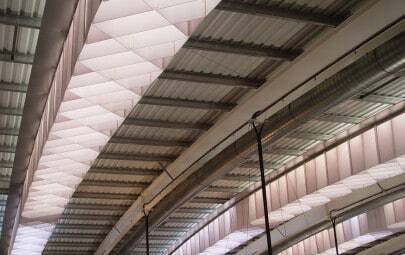 Reaching 50m above ground level, the two temporary stands form angular wings to the curved central body and are wrapped in a complete fabric cladding jacket to expand the venues seating capacity from 2,500 to 17,500. 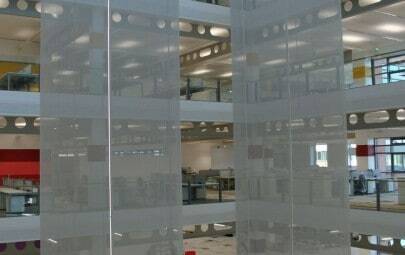 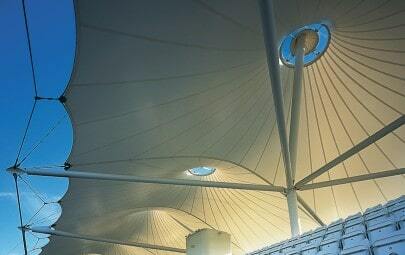 As specified by the architect, the cladding uses a combination of solid materials and mesh to form flat panels covering the 22,000 square metres surface area of the structure. 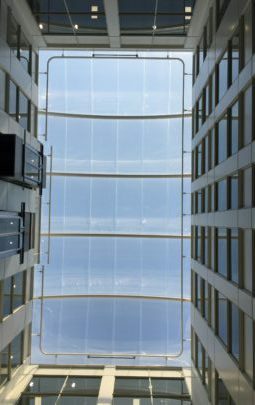 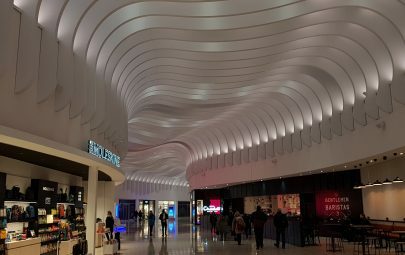 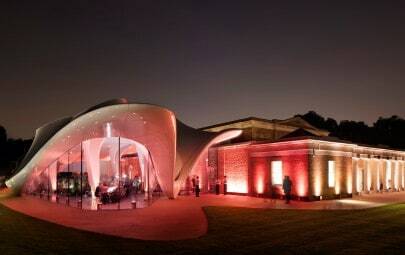 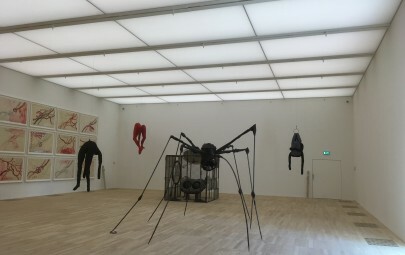 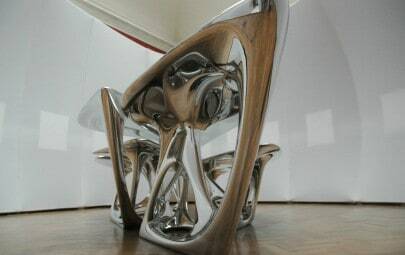 Over a two year lead in period, members of the Architen Landrell design team worked solidly on this project, liaising closely with Zaha Hadid and engineers Arup Associates to ensure that every component met structural and aesthetic requirements. 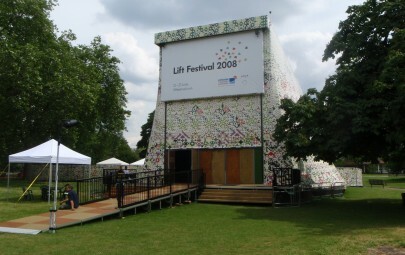 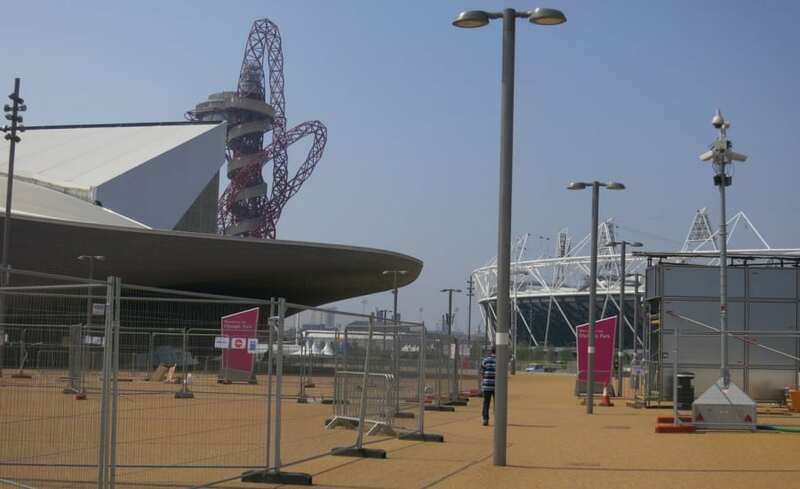 With such a focus on the sustainability of the London 2012 Olympic Games it was essential that the origin, manufacturing process and recycling opportunities for each material was carefully investigated. 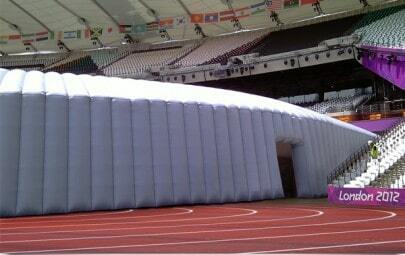 Whilst not traditionally considered environmentally friendly, specially coated PVC polyester was developed without the use of phthalates (lead based chemicals) to minimise the environmental impact of the fabric and maximise the future uses of the material post-Olympic Games. 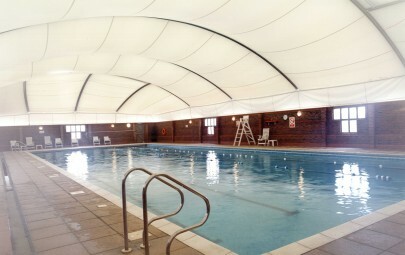 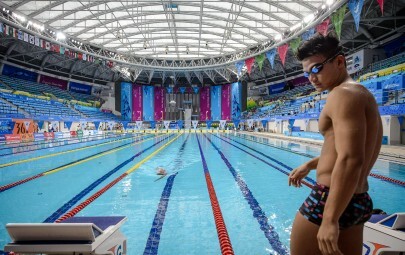 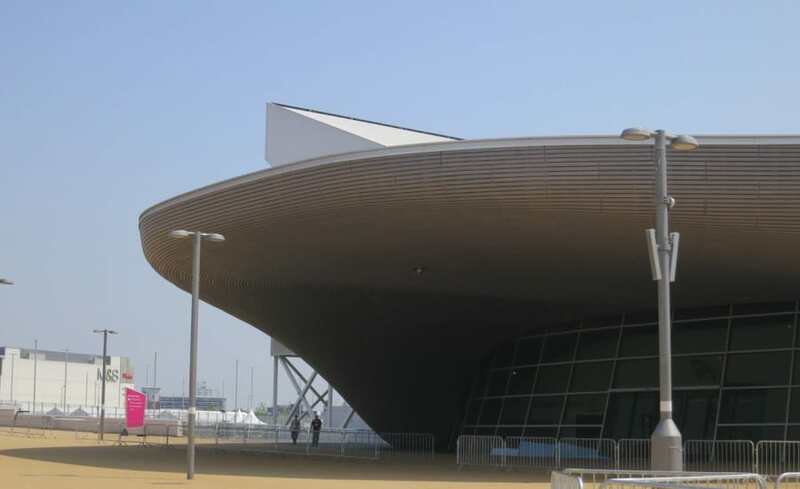 This fabric has also been used on a number of the other Olympic venues, including the Water Polo Venue and International Broadcast Centre. 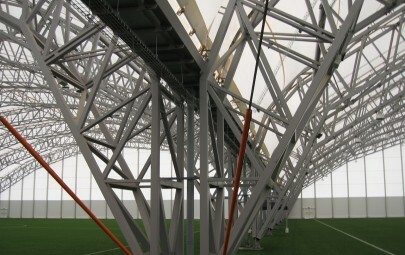 With design efficiency in mind, we developed a special multi-purpose tracking to cope with the tight tolerances, extremely high loading stipulations and engineering restrictions this project posed. 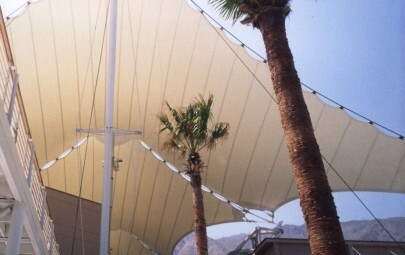 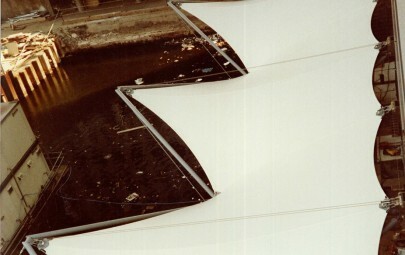 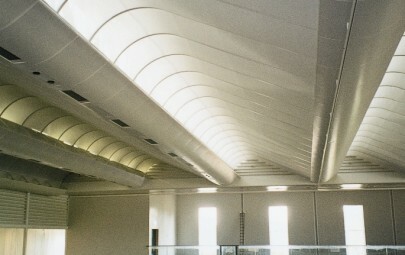 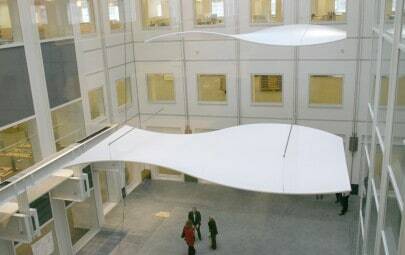 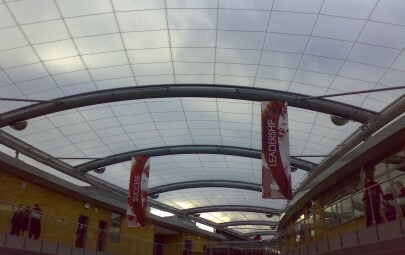 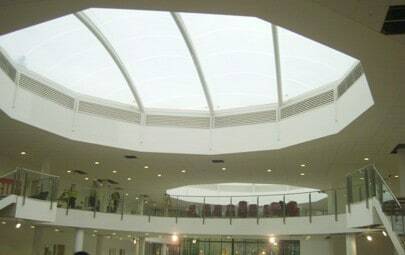 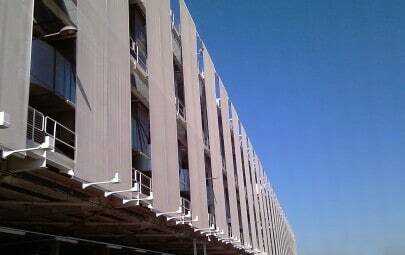 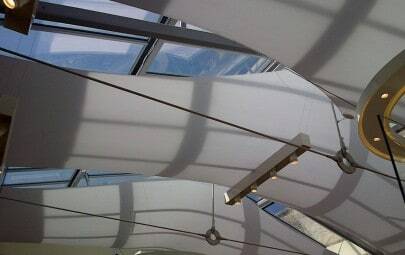 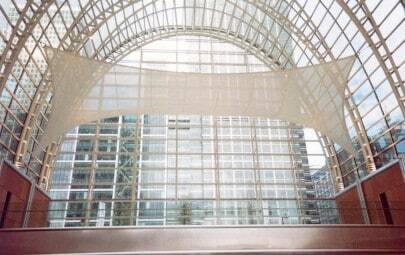 With such large flat panels, the tracking required the rigidity to span greater distances than any other previously developed fabric support extrusion. 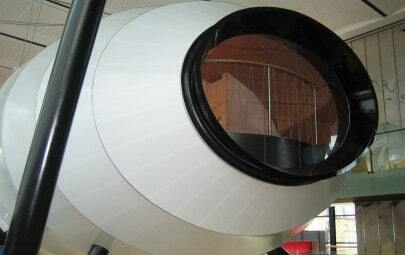 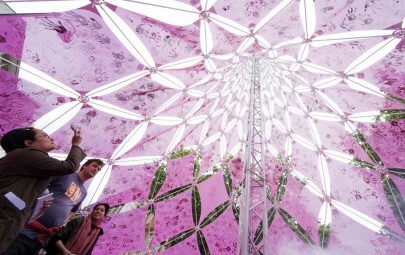 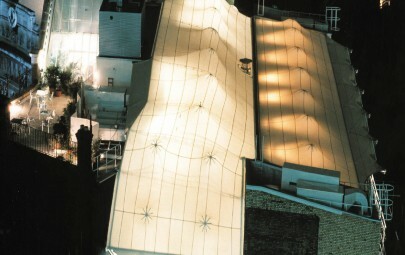 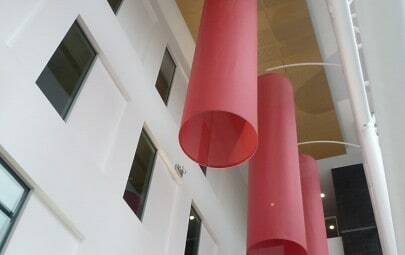 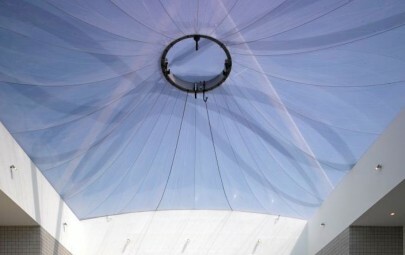 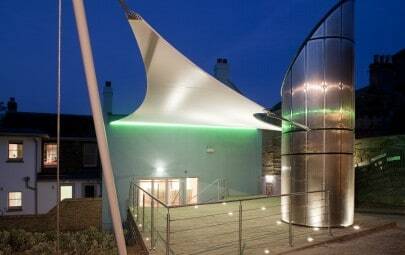 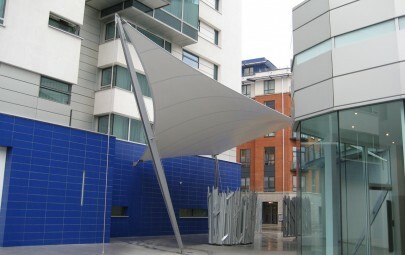 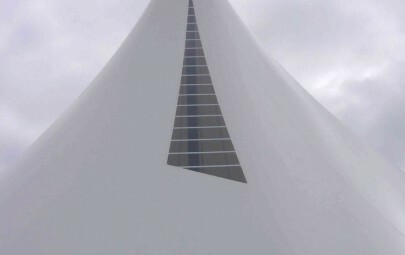 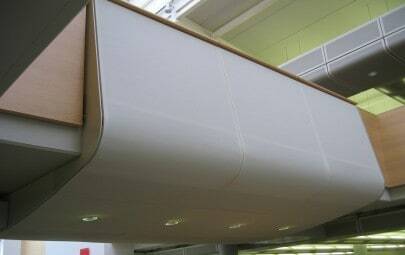 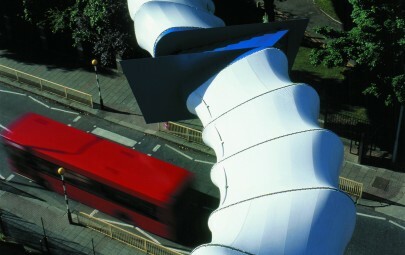 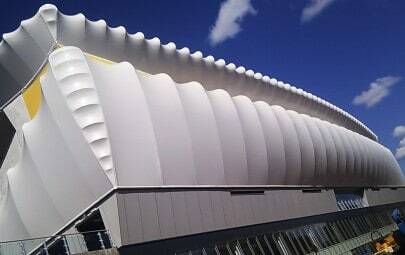 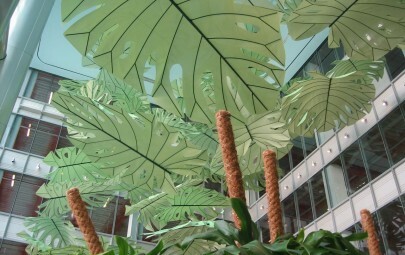 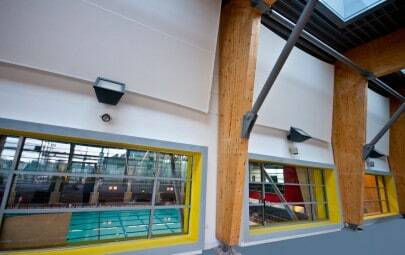 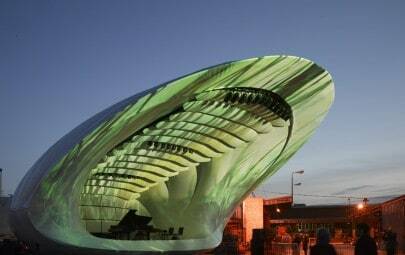 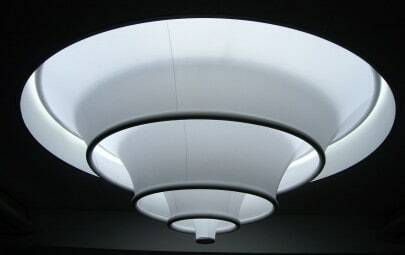 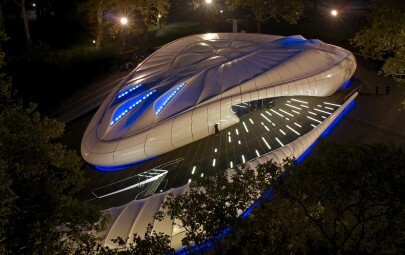 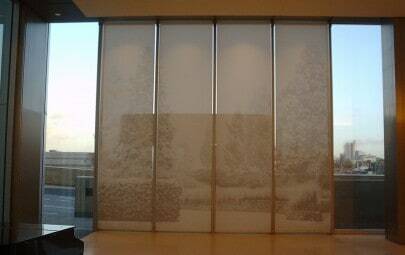 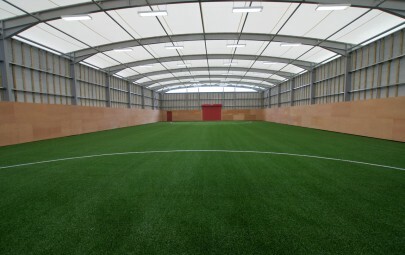 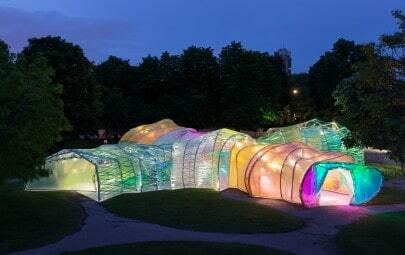 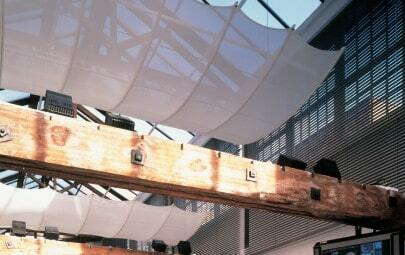 Like the fabric, the extrusion was designed to be reusable on other cladding and tensile fabric projects. 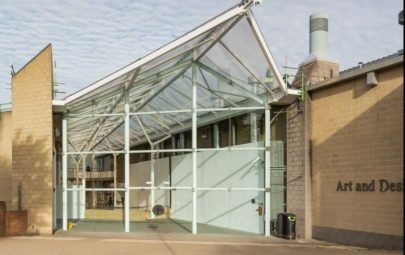 With a limited time period to manufacture over 20,000 square metres of fabric, our production facility was in full flow for a continuous 8 months. 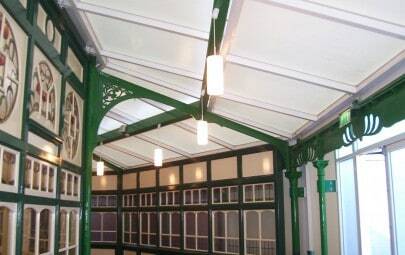 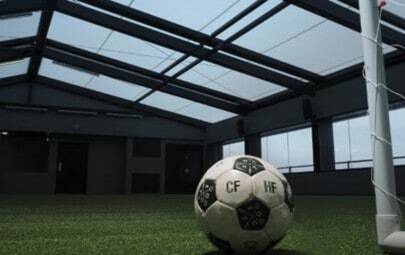 As some of the panels measured up to 250sqm each and were all manufactured offsite, our large, clear span manufacturing space came into its own. 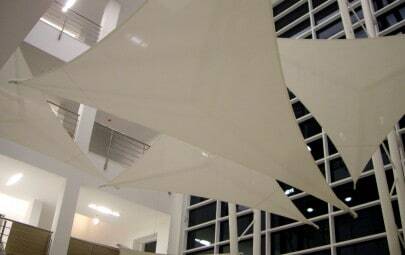 Design continued throughout the fabrication period and information was drip fed area by area to allow multiple processes to run concurrently. 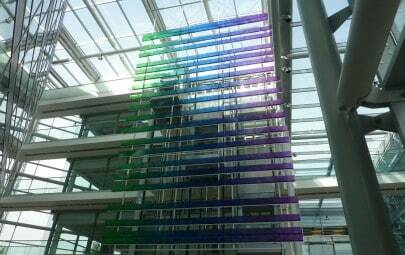 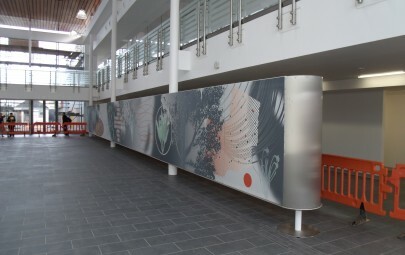 This meant our team had to constantly rise to challenges and adapt throughout the manufacturing and installation process as the design developed. 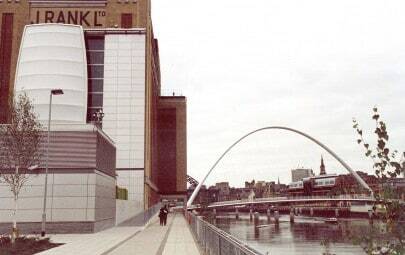 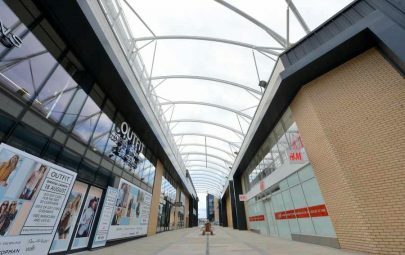 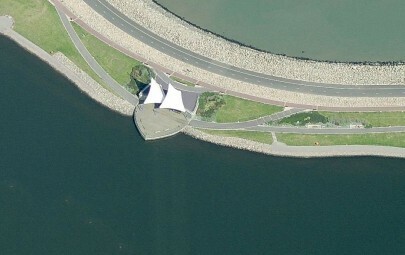 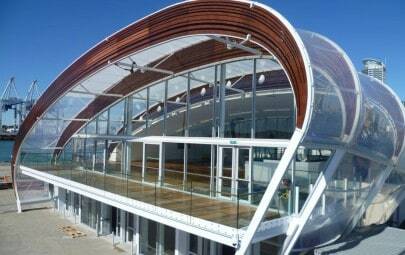 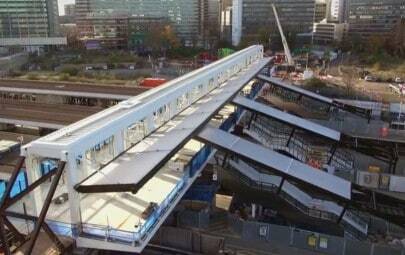 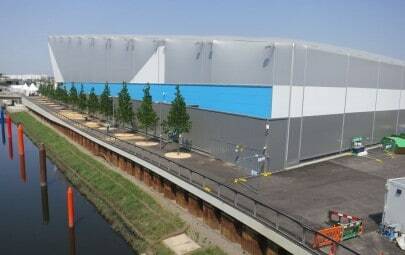 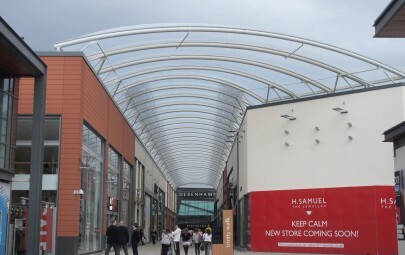 Installation of the tensile fabric cladding was extremely complex as the site is bordered very closely by network railway lines to the east, a new footbridge on north elevation and existing canal on the west side. 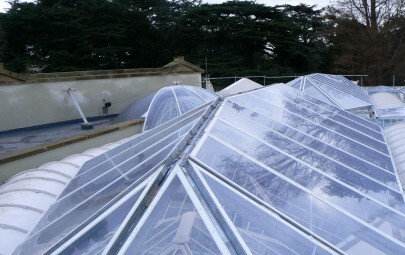 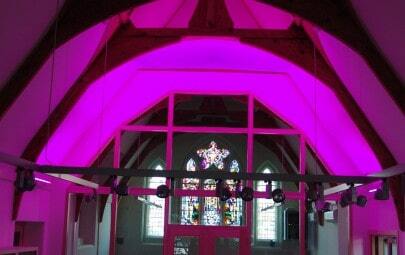 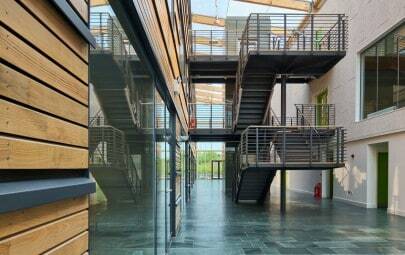 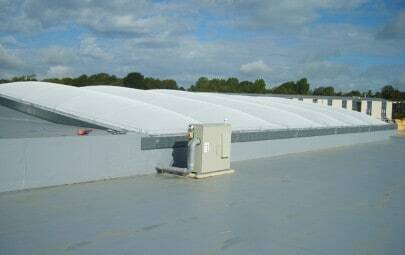 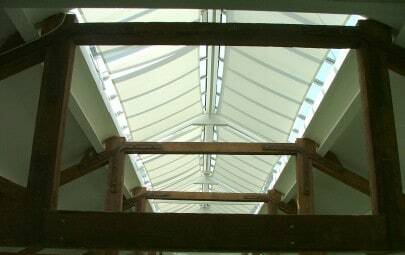 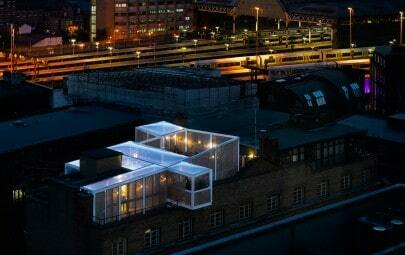 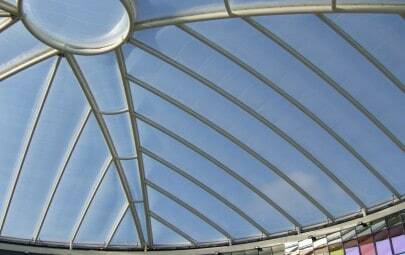 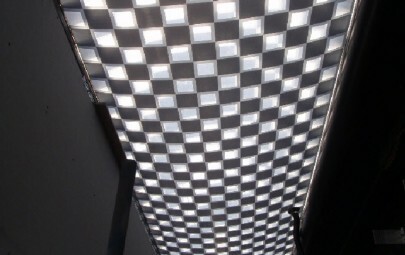 This led to extremely restricted access methods to comply with health and safety and CDM regulations. 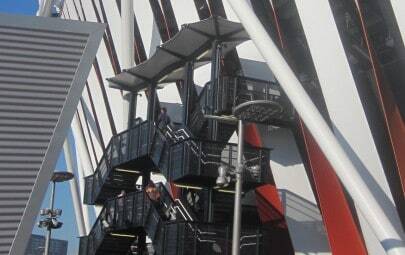 Cherry pickers could only occasionally be used to access the 50m tall structures therefore most of the installation as carried out by our highly trained rope access team from October 2010 through the heavy snow and extremely low temperatures to complete in July 2011 in time for the one year to go event. 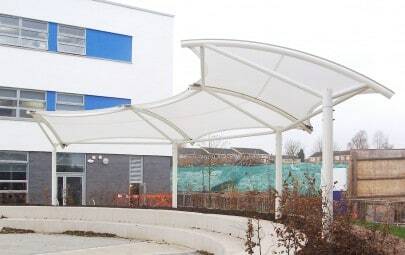 As such a high profile project stringent UK Health and Safety Regulations were only magnified as, under Balfour Beatty, we worked to the Zero Harm policy. 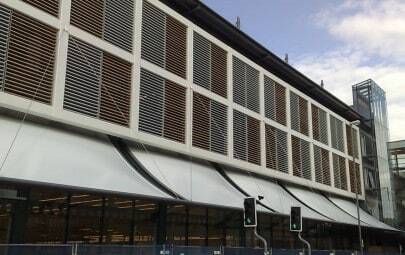 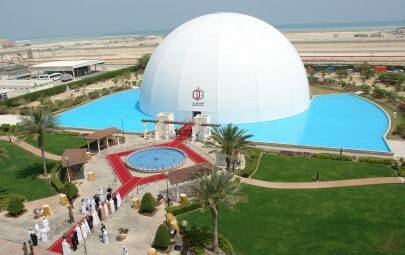 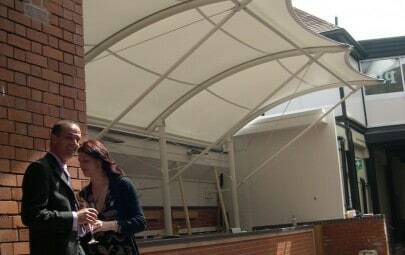 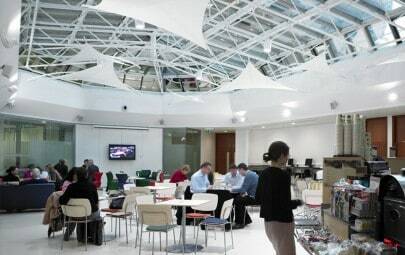 Our project and installation teams worked tirelessly not only to install a complex project but also to ensure the safety and best practice of themselves and their teams. 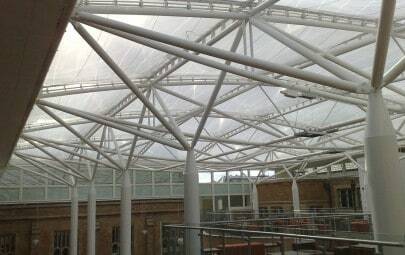 Balfour Beattys Site Manager Jamie Lewis commended Architen Landrell for their dedication, commenting what the cameras did not show was the determination and hard work that allowed the work to be installed successfully, in time and most importantly without any major safety related incident for such a high risk element of the works [it] was a testament to all those involved from Architen. 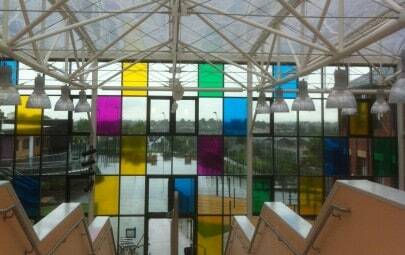 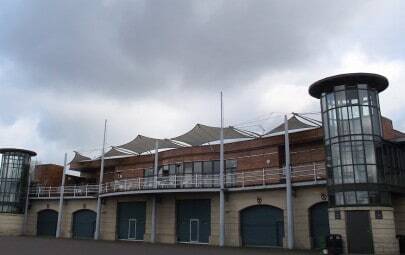 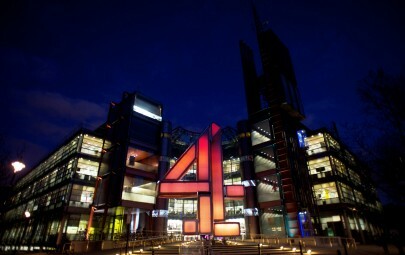 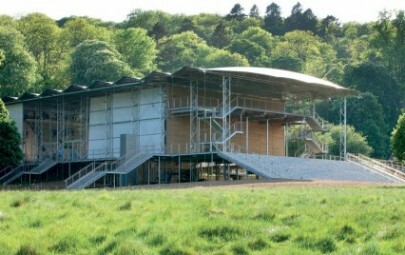 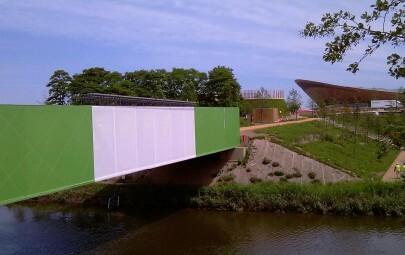 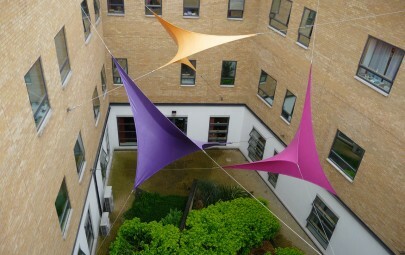 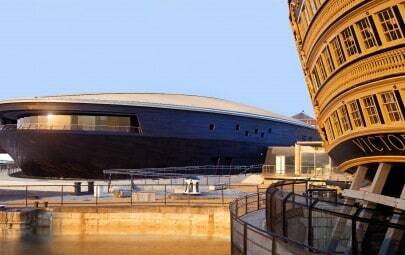 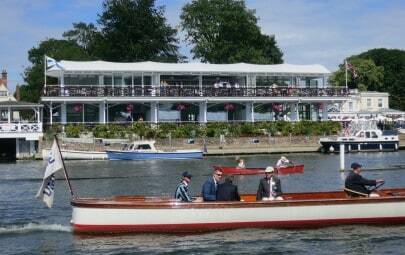 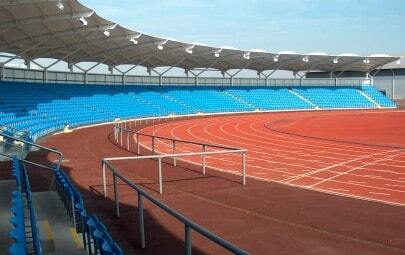 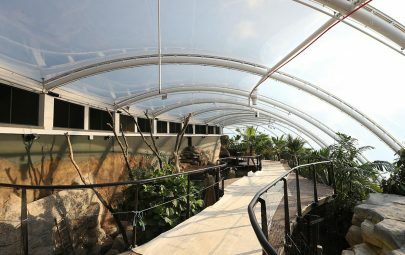 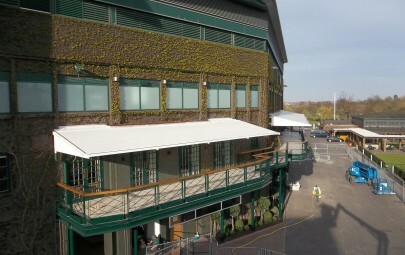 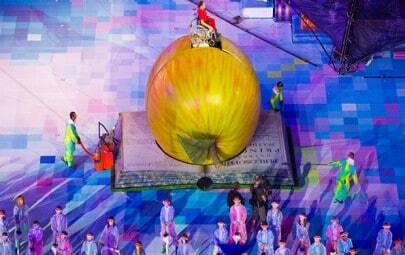 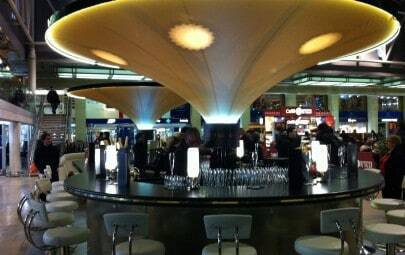 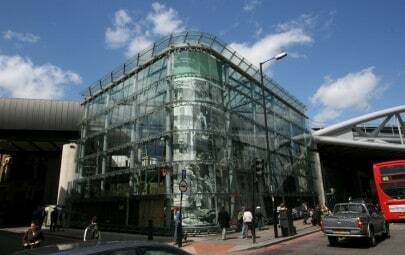 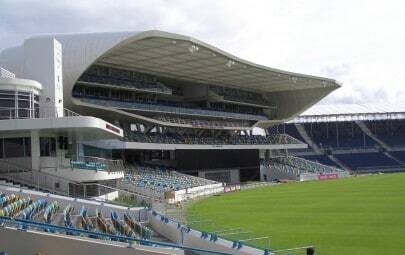 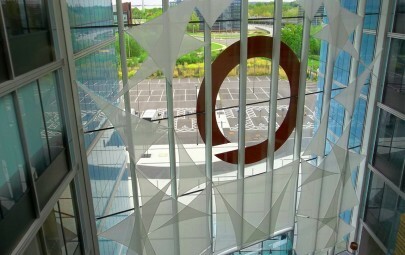 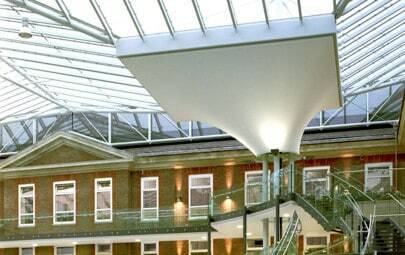 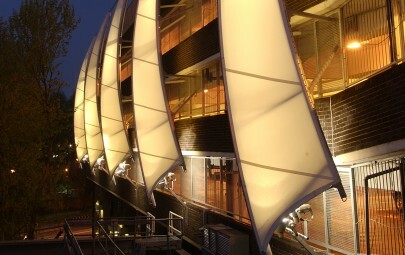 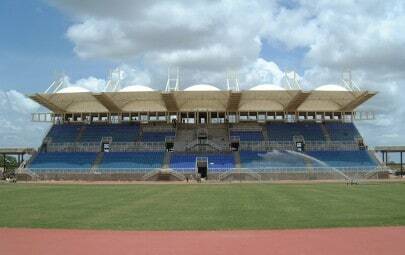 Now complete, the Architen Landrell team are excited for the London 2012 Olympics and seeing the venue in use! 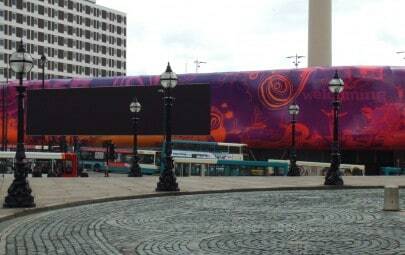 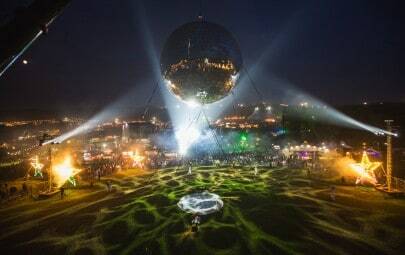 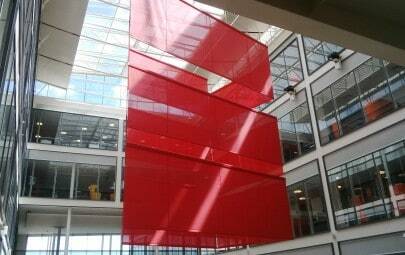 As temporary stands, all fabric and extrusion will be removed and reused after the games so we look forward to finding a new lease of life for this historic and iconic tensile fabric installation.